What’s in Your Gym Bag? It’s Time to Sport Some Color. You are here: Home / Family life / What’s in Your Gym Bag? It’s Time to Sport Some Color. As a mother of kids who have been on soccer, flag football, and swim/dive teams in just this past year, I know injuries. Luckily, we’ve been pretty fortunate and haven’t had too many serious injuries. Just lots of bumps, bruises, and other pains. But mostly, happy faces, tired bodies, and plenty of bandages. 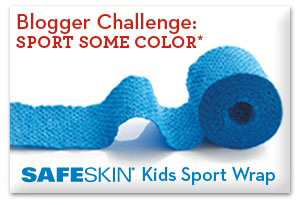 This year, we’re sporting Safeskin colorful sports wraps. I wrote a post last week all about Safeskin (including a pretty amazing giveaway…). 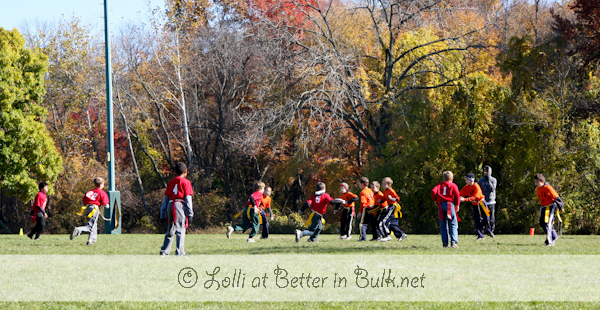 Sports are fun for kids, teach them important physical skills as well as how to interact with their peers. But sports often do lead to injuries, and it’s good to be prepared. How do you prepare your kids for team sports? Did you know? Each year, more than 3.5 million children under age 14 receive medical treatment for sports-related injuries, with strains and sprains among the most common complaints. 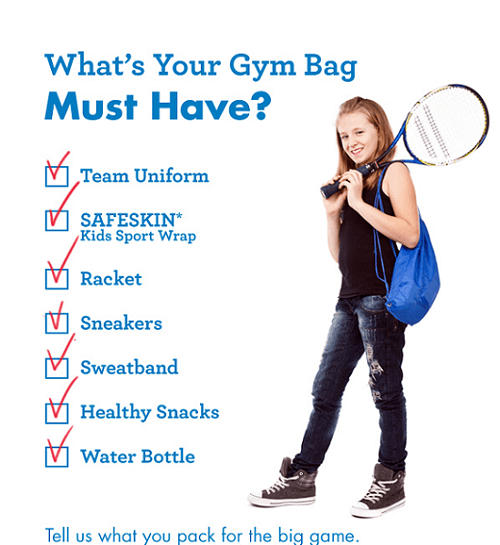 What do you pack in your kids gym bags? I am thrilled to announce the winner of my latest giveaway to end (and a very good one, if I do say so myself!). Entry #187 Jamie V. won the $100 Walmart giftcard. Congrats!! Disclosure: I received compensation from Kimberly-Clark Professional in the form of a gift card to participate in this campaign promoting the Sport Some Color SAFESKIN Kids Sport Wrap Challenge. The winner of this giveaway was randomly chosen. In addition, Kimberly-Clark Professional provided the gift card I am using as the prize in my promotion. Love that pic of your daughter. 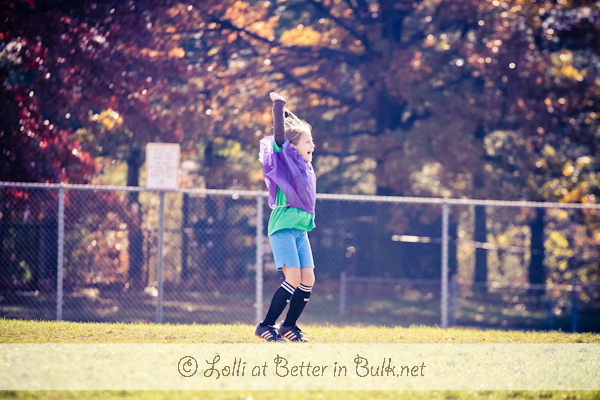 Our kids have soccer bags, hockey bags and karate bags… it’s crazy!